Please browse our technical pages listed to the left about our grass seed species and the cultivars bred and produced by us. Find information on all the cultivars and seed coatings used within our mixture range. Johnsons seeds lead the world in seed coat technologies, helping turf professionals save both time and money and ensuring perfect results are achieved every time. We recognize that not everyone manages a championship venue however, our latest research shows how the unique ProNitro coating can further improve your overseeding results, even when seeding into less than perfect conditions. All Johnsons Sports turf mixtures are pre-coated with Gromax biostimulant & our most popular mixtures are also available with the patented ProNitro nutrient coating, ensuring that you get even better value from the top class cultivars in your Johnsons mixtures. 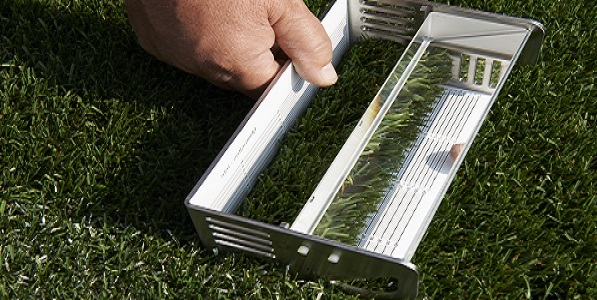 For information on how Johnsons could improve the results of your next overseeding program talk to your local distributor or our team of regional technical support managers.